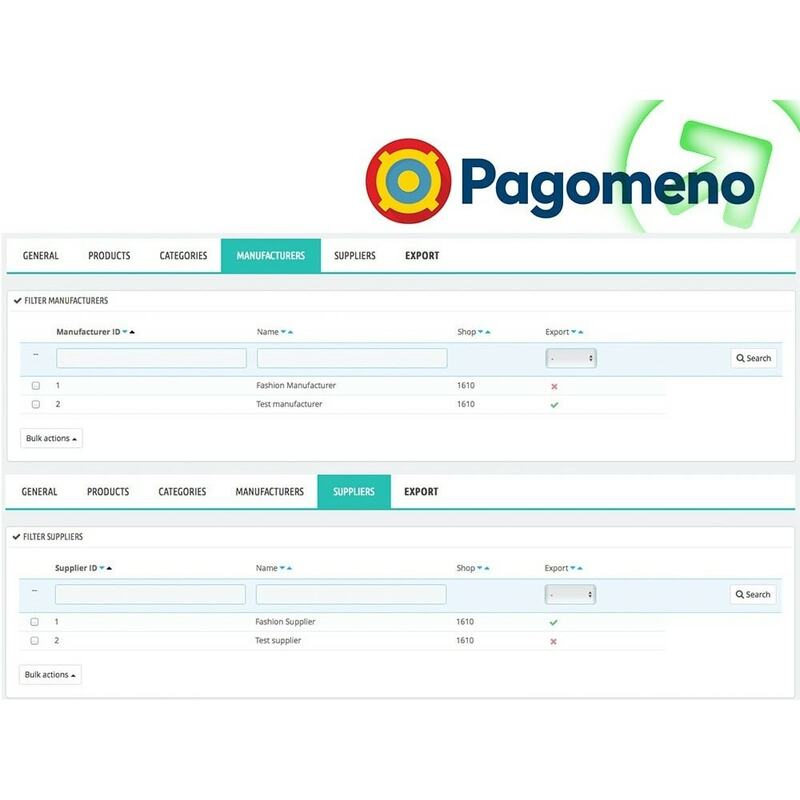 Increase your sales by synchronizing your products on price comparison Pagomeno. This powerful tool allows you to increase your traffic and your earnings and attract highly qualified visitors. 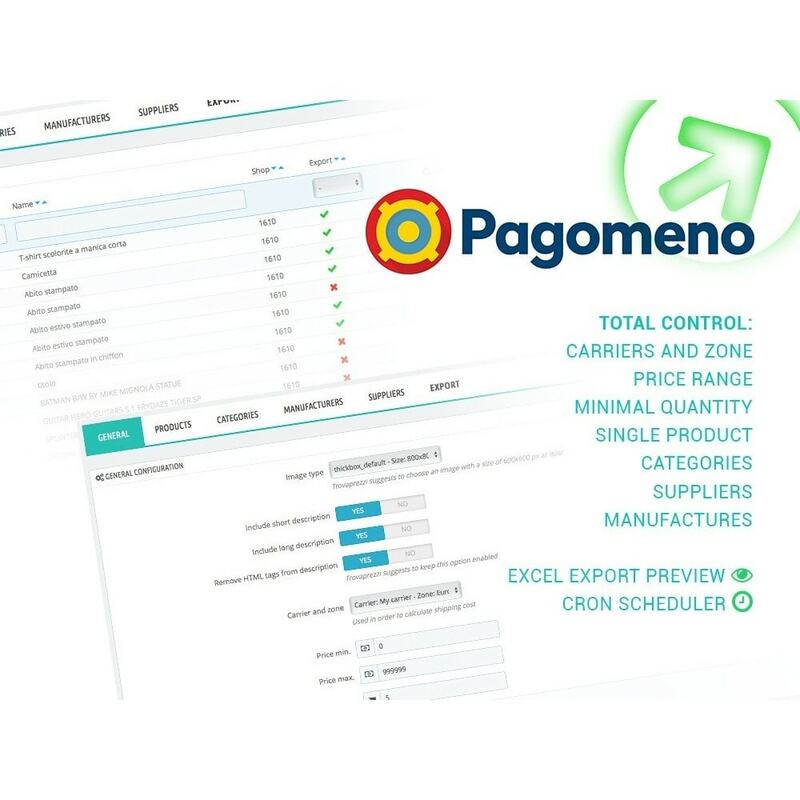 Thanks to the various filters you can choose exactly which product and export to optimize your investment, avoiding the dispersion of the budget and maximizing return on investment. 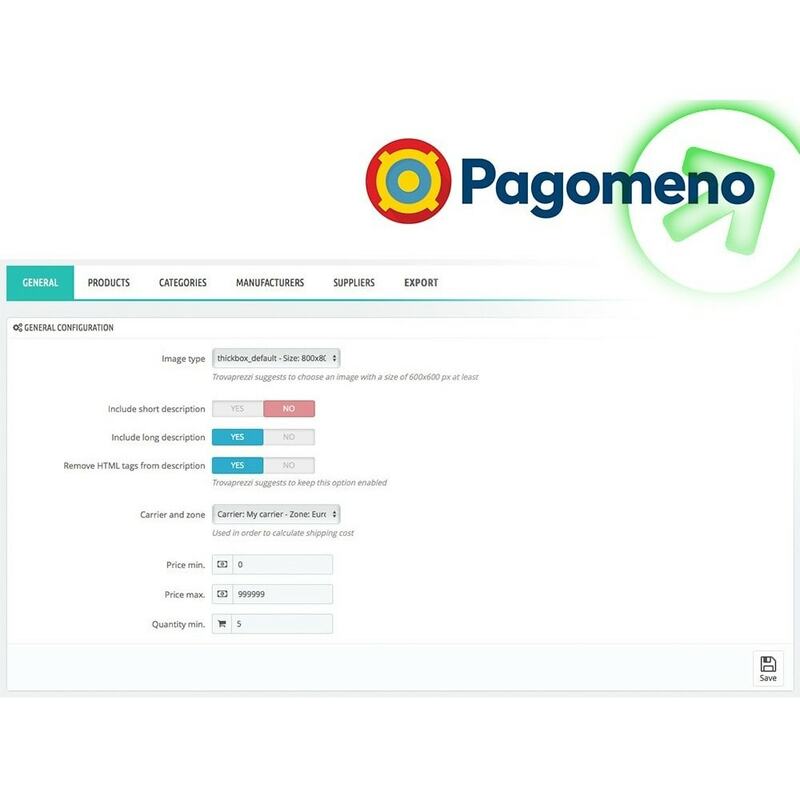 The authorization to the activation of an account is at the discretion of Pagomeno which will assess the type and material properties. 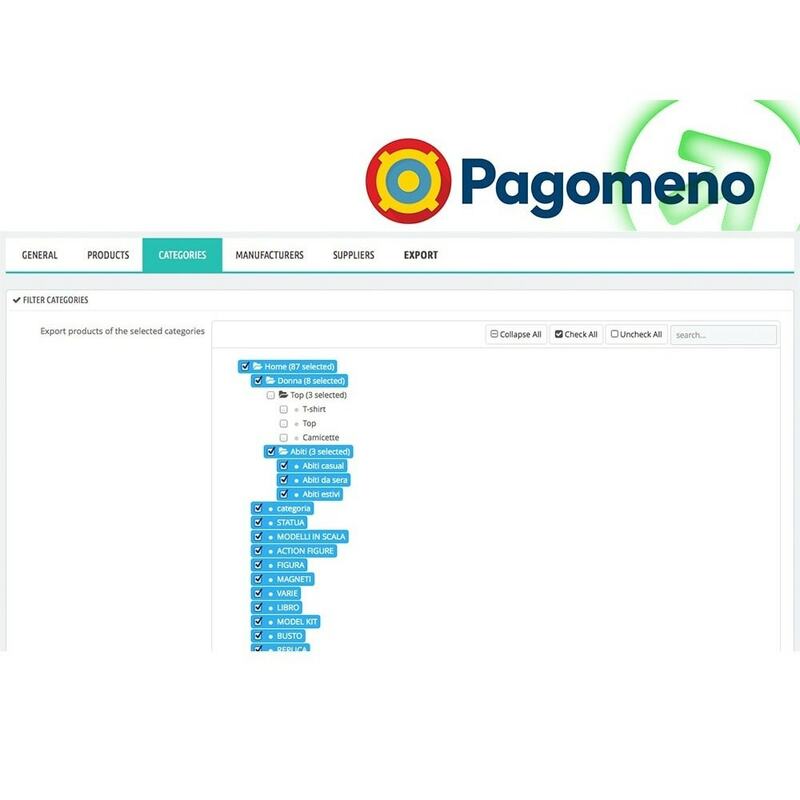 Before buying the module we suggest contacting Pagomeno. Installing the module is very easy. You will be provided of a PDF detailed guide. 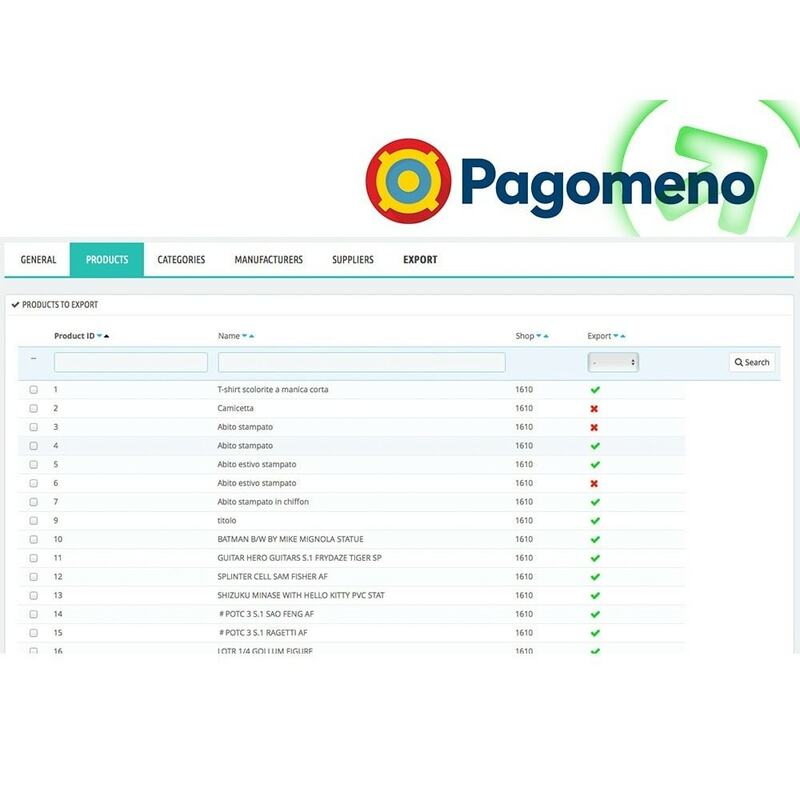 Should you require support, you can get in touch with our customer care.